There are 7 candidates seeking 3 seats on the TUSD Governing Bd. Incumbents Mark Stegeman (2 terms), Kristel Foster (1 term), Cam Juarez (1 term) are seeking re-election, being challenged by 4 others: Betts Putnam-Hidalgo (her 3rd bid for a seat on this board), Lori Riegel, Brett Rustand, Rachael Sedgwick. Recently TUSD Kids First endorsed incumbent Stegeman, Putnam-Hidalgo, Rustand. See attachment below. Previously, the teachers’ union Tucson Education Association endorsed 2 the 3 incumbents, Kristel Foster and Cam Juarez. 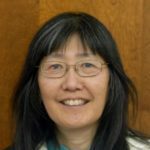 More info: https://tucsonea.org. 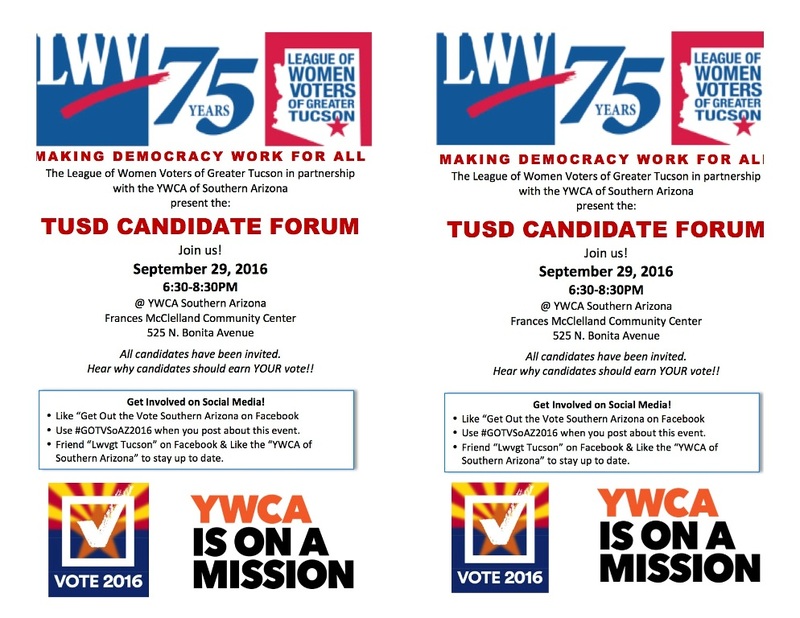 3rd TUSD candidate’s forum coming up on September 29 at YWCA of Southern Arizona, co-sponsored by League of Women Voters of Greater Tucson. See our Calendar for details, event flyer below. Stay tuned for info on fourth candidate’s forum in October, out east. UPDATE: Oct. 4, 6:30 p.m. at Palo Verde HS, 1302 S. Avenida Vega, hosted by Dietz Neighborhood Assn.